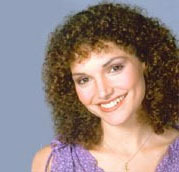 Mary Elizabeth Mastrantonio was born in Lombard, Illinois, and grew up in Oak Park. After graduating from OPRF High School in 1976, she attended the University of Illinois. Mastrantonio first appeared on screen in Brian DePalma's Scarface as Gina, sister of Al Pacino's Tony Montana. She achieved prominence for her Oscar and Golden Globe-nominated role in The Color of Money opposite Paul Newman and Tom Cruise. Her other featured roles of the 1980s include Slam Dance opposite Tom Hulce, and The January Man with Kevin Kline. She starred in writer/director James Cameron's science fiction blockbuster The Abyss with Ed Harris, and as Maid Marian in Robin Hood: Prince of Thieves, in which she replaced pregnant Robin Wright. In 1991, she received a Tradition of Excellence Award from OPRF High School. In 2000, Mastrantonio played the role of a fishing boat captain in The Perfect Storm. She had a recurring role during the fourth and fifth seasons of the television drama Without a Trace. Mastrantonio has appeared on Broadway in various musicals, including West Side Story, Copperfield, The Human Comedy, and the 2002 revival of Man of La Mancha, in which she played Aldonza/Dulcinea opposite Brian Stokes Mitchell. She has appeared in New York Shakespeare Festival productions of Henry V, Measure for Measure, and Twelfth Night. Her New York City stage performances have garnered her a Tony Award and two Drama Desk Award nominations. She also starred in Grand Hotel at the Donmar Warehouse in London's West End. In 1984, Mastrantonio was featured in a benefit performance of A Christmas Carol with Helen Hayes, Raul Julia, Harold Scott, F. MacIntyre Dixon, and Len Cariou at the Symphony Space in New York. She starred most recently in A View from the Bridge as Beatrice, alongside Ken Stott and Allan Corduner at the Duke of York's Theatre, London. In 2010, Mastrantonio appeared as a regular character in the ninth season of Law & Order Criminal Intent. Mastrantonio has been married to director Pat O'Connor, who helmed The January Man, since 1990. The couple live in London with their sons Jack O'Connor (born 1993) and Declan O'Connor (born 1996).